Researchers at MIT who spent four years analyzing America’s driving needs have published a study Aug. 15 disputing the idea that electric cars are still too expensive and limited in range to replace the majority of conventional internal-combustion vehicles. The study, lead by energy studies professor Jessika Trancik, looked at geospatial positioning system (GPS) data and national travel surveys to assess national driving needs. “We find that the energy requirements of 87 percent of vehicle-days could be met by an existing, affordable electric vehicle. This percentage is markedly similar across diverse cities, even when per capita gasoline consumption differs significantly,” the study stated. Two of the major criticisms usually raised against electric cars are that they are still too expensive to become vastly popular and that they can only travel a limited distance on a single charge. The infrastructure for charging vehicles is still limited, so drivers may worry about running out of power and not being able to recharge. But the researchers determined that vehicles such as the Ford Focus Electric or the Nissan Leaf, while more expensive than conventional cars, are still cost-effective because they have lower maintenance and operating costs over their lifetime. They could meet the needs of the vast majority of U.S. drivers. Each day the vast majority of drivers consume only the amount of energy the electric car’s battery can hold. 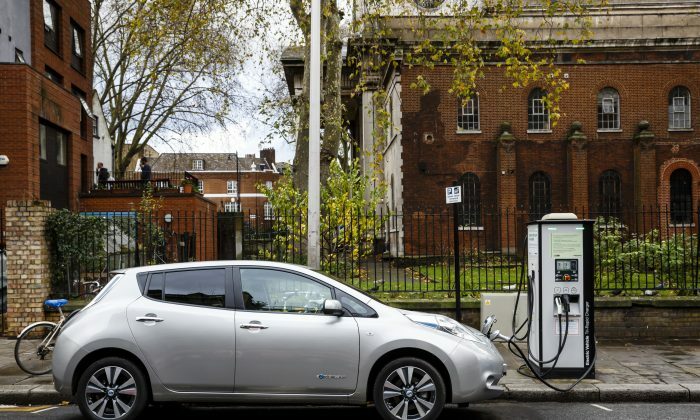 An overnight recharge at home or charging at work during the day would suffice, so the researchers determined that the lack of charging infrastructure is not a major concern. However, electric vehicles still can’t cover all drivers’ needs every day. On days with higher energy consumption (such as vacations or when drivers crank up the heat or air conditioning), other options are needed. The study authors suggest using a car-sharing service, renting a car, or owning a different car (in a two-car household) to supplement.